An unsightly, tired or damaged exterior wall can become an eyesore in the garden. No matter how perfect the rest of your outdoor space, an ugly exterior wall can stand out for all the wrong reasons. For many, demolishing the wall to start again isn’t feasible as it may be costly and require permission from the neighbours or council. There are ways you can hide an ugly exterior wall and transform it into a feature without knocking it over. This will not only improve your view but also enhance the feeling of your outdoor space. Here are a few ways you can make a feature out of an unsightly garden wall. Paint is one of the most obvious and easiest ways you can enhance the appearance of your boundary walls. 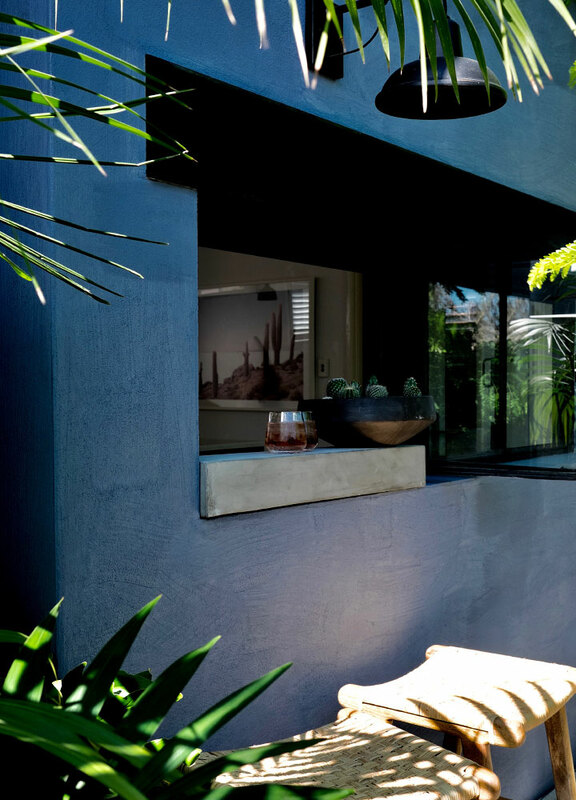 Paint can either help the wall disappear into the garden or make an ugly exterior wall into a feature. If you want to disguise the look of your boundaries, try painting the walls in a dark colour. Plant foliage in front and your wall will disappear. For those who want to make a feature of the wall, there are a few options. 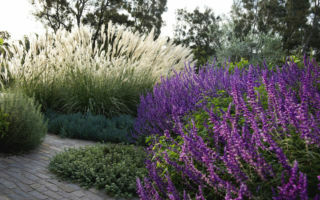 You can choose a bold colour that will pop against the natural colours of your landscape. You can get creative and paint a mural that’s unique to your space. Alternatively, you can use different paint to add interest. Using a lime paint can help you create a natural-looking finish while adding colour and texture to your outdoor space. It’s also a great solution to transforming damage walls or those build from several materials. You can read more about transforming your outdoor space with paint here. Render is a great way to neutralise the entire surface of your exterior wall. If you don’t like the appearance of your brick wall, for example, rendering it can create a smooth finish ready for painting. You can also use render as a medium to give a slight texture and sense of age to a wall. If you haven’t rendered before and desire a smooth, clean finish, it’s worth exploring a render. 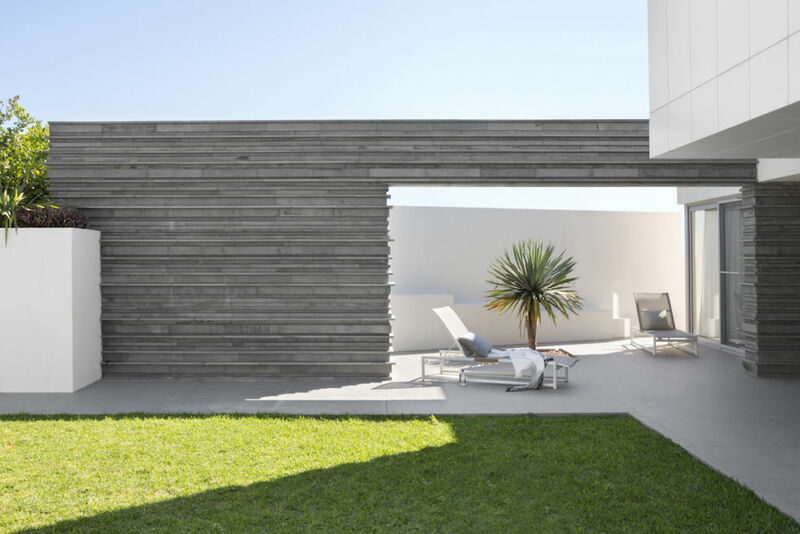 Cladding an exterior wall may be the perfect long-term solution that will help transform your space. With the variety of wall cladding available, you can choose from a rugged, organic look to a more contemporary clean finish. Our linear walling, for example, can be a striking wall to dress your ugly exterior wall. Available in random lengths, this creates a flat finish that’s lightweight yet embraces the characteristics of stone such as the texture, colour variation and natural imperfections. 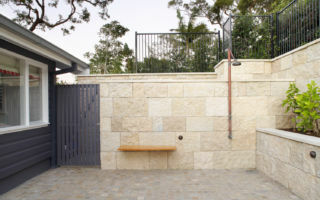 Stone wall panels are another way to clad an exterior wall. 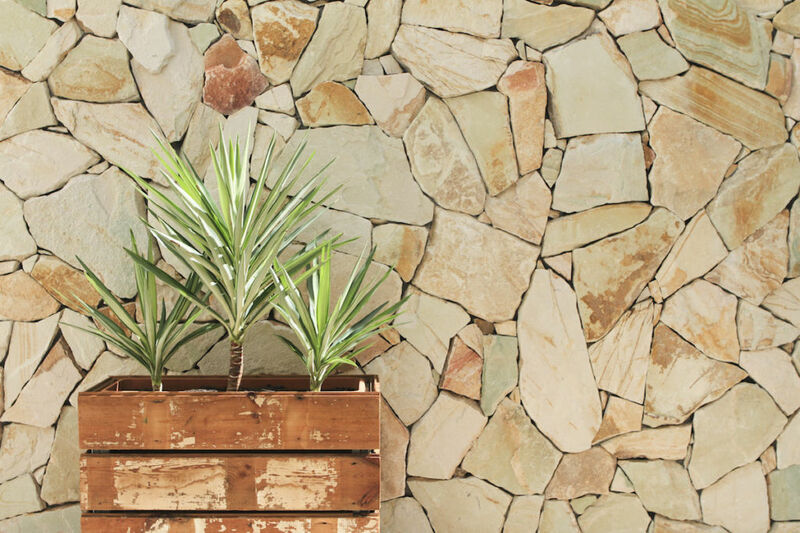 The natural open cut and irregular surface texture will provide a rugged and authentic aesthetic which looks stunning within a garden setting. Find out how to create a feature wall that won’t date here. Introducing more greenery to your outdoor area is a great way to transform the appearance of a wall and enhance the feeling of your space. Where space is at a premium, growing a creeper such as Boston Ivy directly to the wall or along wires is highly effective. If you would prefer not to plant a self-adhering variety, placing a trellis in front of your wall to grow vines such Star Jasmine can create the green coverage you desire. It’s also suitable for those who don’t own the wall. Another dramatic effect, although expensive, is installing a living wall. This system will help make a dense texture of foliage. 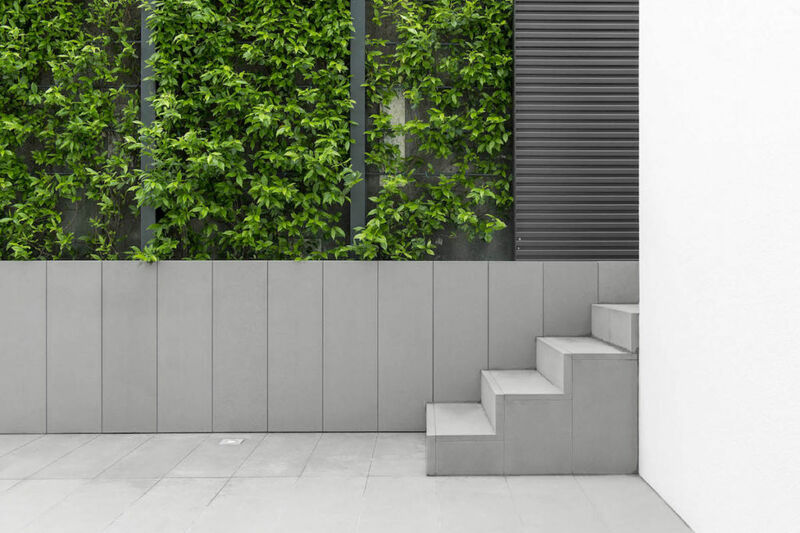 If you are considering a living wall, it’s vital you choose appropriate plants for your climate and implement a maintenance plan. For more advice about creating a feature wall, take a look at our Learning Library. Feature image: Crackenback freeform stone wall | Stile Interiors.